Being from Norcal, we sincerely doubt that our beautiful environment and earth-conscious folks will ever have to suffer a reality similar to Ridley Scott’s depressing L.A. However, that doesn’t mean we’ll have to rule out the coolest parts of his ultra futuristic designs, like the innovative vehicles that whizz by in both iterations of the Blade Runner universe. 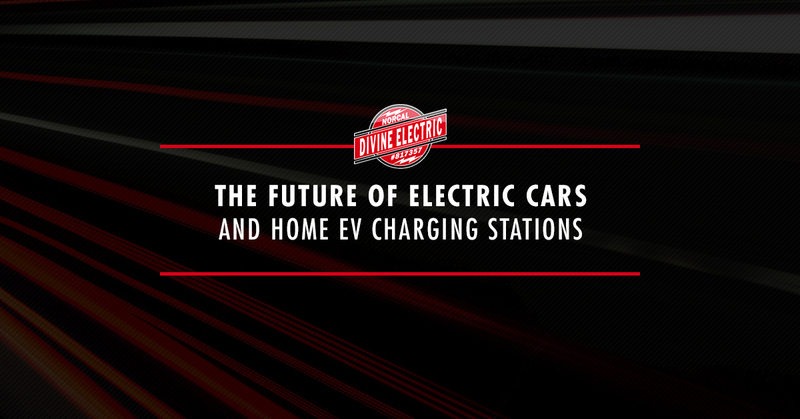 In fact, the future of home EV charging stations, Divine Electric Norcal’s specialty, lies within the future of electric cars. What’s on the horizon for the electric cars you’ll see gracing the roads soon? Something out of the dystopian and elegant picture of the romanticized future we’re all picturing. You might even say that the future of beautiful cars is nearly here. Elon Musk may be a slightly eccentric CEO with some wild ideas but he’s reliably on the forefront of the newest technology. The Tesla’s Roadster, which will arrive on the roads in 2020, is super futuristic and beautiful. The Roadster features an early 2000’s body style, with a low, slim nose and a rounded continuous cabin-to-trunk line, it’s an impressive and sleek vehicle. This electric sports car will have impressive specs like it’s top speed of 250 mph, which, for a long time, the only car that could boast that was a Bugatti, and the ability to go from 0-60 mph in 1.9 seconds, which certainly puts the 2013 Nissan Leaf and other similar sedan type models to shame. To think that’s all we could do with an electric car only a couple short years ago. The Nissan Leaf was certainly cute when it came out, but with few upgrades and a generally unexciting engine and body style, it’s gone to the wayside in favor of more aesthetic Tesla models. Well, all that’s about to change with the IDS Slated for a 2020 release. The Nissan IDS promises an updated look on the already uber-futuristic styling that Nissan faithfully sticks to, with a light-up grill, low shimmering paint, and sleek graceful lines. Most notably, however, is the self-driving aspect that will prove to be totally revamped. You can both manually and autonomously drive the car with a super intricate GPS system that shows arrival times and a detailed schedule for the day. When you’re autonomously driving the IDS, the steering wheel will simply fold into the dashboard and be replaced by a table control panel that acts as an enormous touchscreen for you to dictate your path with ease and in style. If you’re getting as excited about the upcoming electric car models as we are, you’ll want to be prepared when they come out. Although the electric companies are investing in EV charging stations all over the great state of California, including a prominent presence in Norcal like Marin County and San Francisco, you’ll still want a home EV charging station. When you’re charging your new vehicle at home, you’ll be able to get the popular 250 to 200-mile range out of their charge without having to recharge anywhere. Contact Divine Electric Norcal, your resident local electrician in Marin Country to chat about your EV home charger installation today.